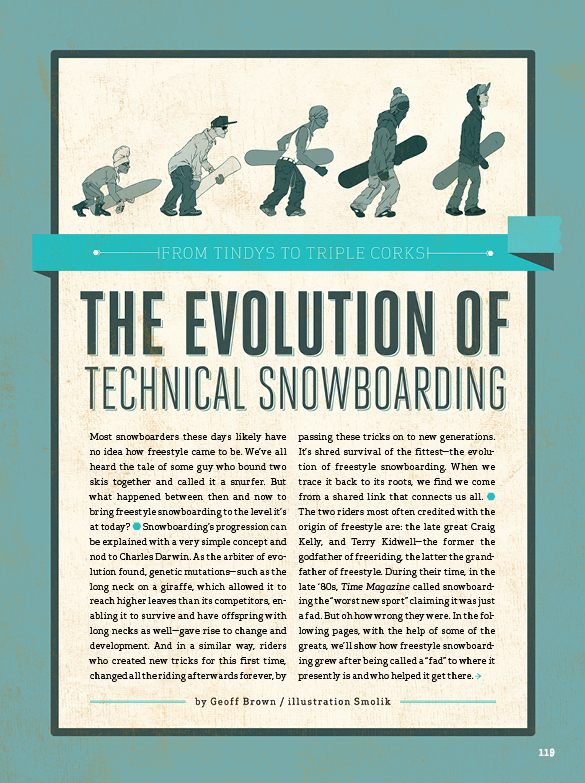 Feature on the evolution of technical snowboarding. 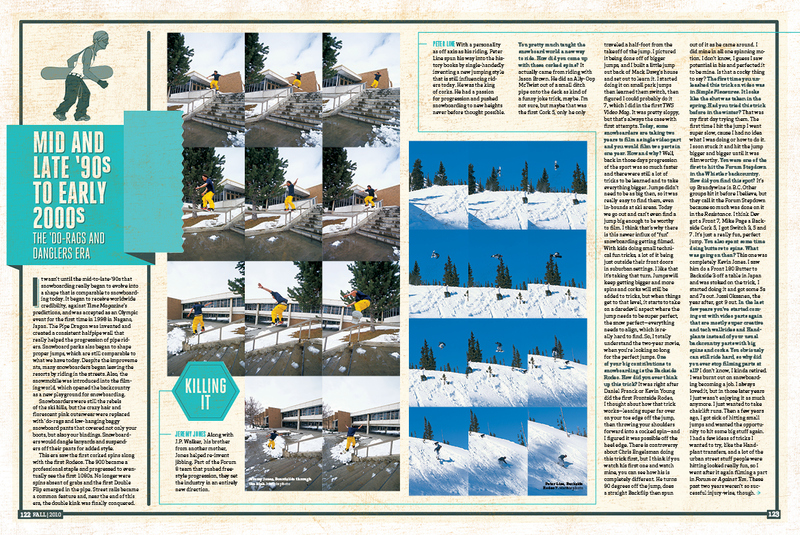 Feature on the evolution of technical snowboarding. 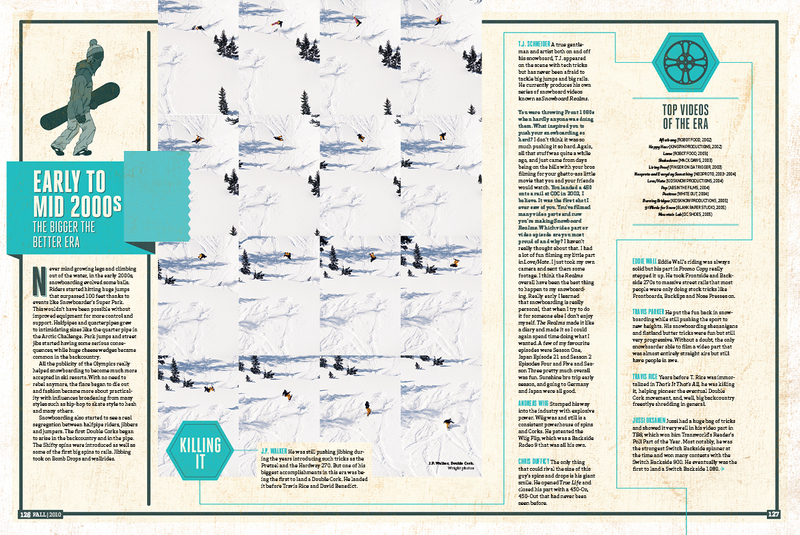 Illustrations were done by Smolik.